We believe that in order to have the best shop we need to employ the best of the best automobile repair and maintenance technicians. We welcome the opportunity to discuss employment opportunities with those that meet our high expectations in ability and integrity. We treat all employees with great respect and kindness. We offer a nice pay and benefits package that includes health insurance, paid holidays and vacation. We pay for continuing education and promote from within. We provide an air conditioned and heated shop. 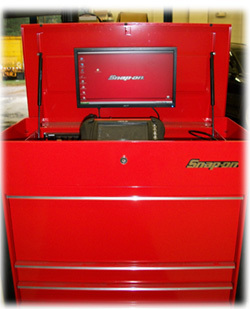 We provide our techs and service writers the best and most up to date equipment and diagnostic scanners. If you are interested in joining our team, please download our employment application or contact Eddie Hinson for an interview at 1-804-598-6180.